Experience an intense TV/Video Presenting workshop like no other. You’ll be given guidance, direction and training on core presenting skills by some of the industries top media coaches. This is your opportunity to create your own professionally edited show/audition reel. You'll learn how to create a solo piece to camera, read an autocue and how to co-present. We’ll help you use your new skills to shoot high impact pieces to camera on green screen and in studio using professional lights and sound. 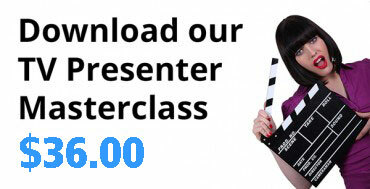 Whilst intense, the session is great fun and packed full of key training to help launch your TV presenting career. Our TV/Video Presenting for Beginners workshops are held in Sydney, Melbourne, Brisbane and the Gold Coast, Australia. Workshops are limited to smaller groups of 6 to 8 people to enable individual attention, so book your training now by clicking the link below;. "Video marketing is now within reach of all businesses, large and small but training is essential..."
We'll train and advise you and your team then produce professional footage in one of our studios with broadcast quality sound and lights. Our post production team will add graphics, titles and music as required. 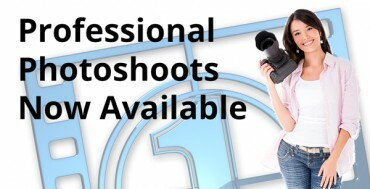 On the day you'll be trained by one of our professional TV presenters or producers and given practical guidance on how to appear natural, effective and trustworthy on camera. Delivering your message in a succinct and professional manner. Included in this 1 Day intensive workshop is the opportunity to create three (3) professionally edited video communication messages which includes music, titles and graphics. These are sent to you as a digital video download so you can upload it to any on-line media platform as many times as you want.